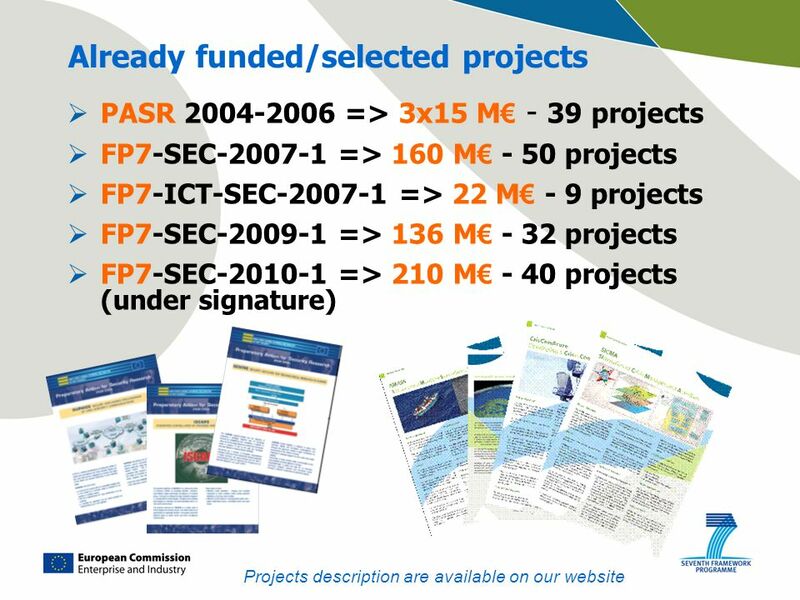 Work programme 2009 – Info Day European Commission – DG Enterprise & Industry E-M. Engdahl 4 th call FP7-SEC-2011-1 Seventh Framework Programme 2007-2013. 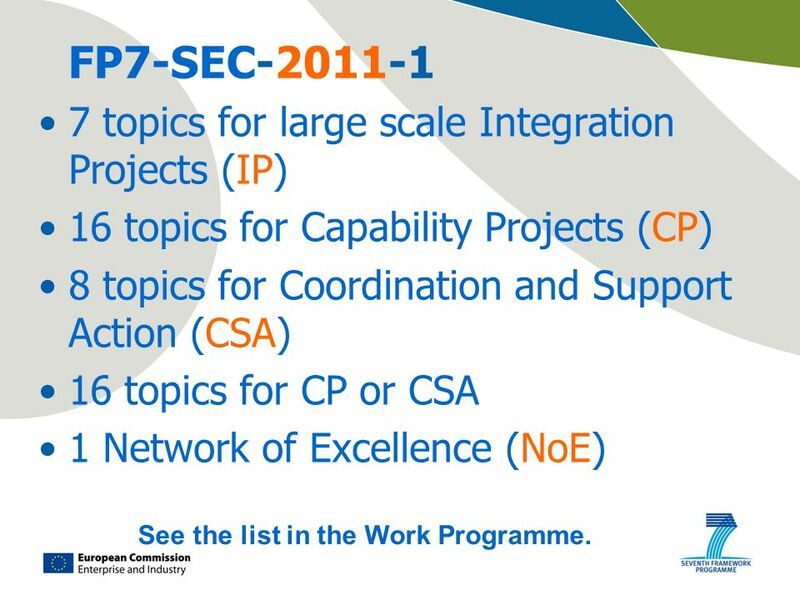 8 FP7-SEC-2011-1 7 topics for large scale Integration Projects (IP) 16 topics for Capability Projects (CP) 8 topics for Coordination and Support Action (CSA) 16 topics for CP or CSA 1 Network of Excellence (NoE) See the list in the Work Programme. 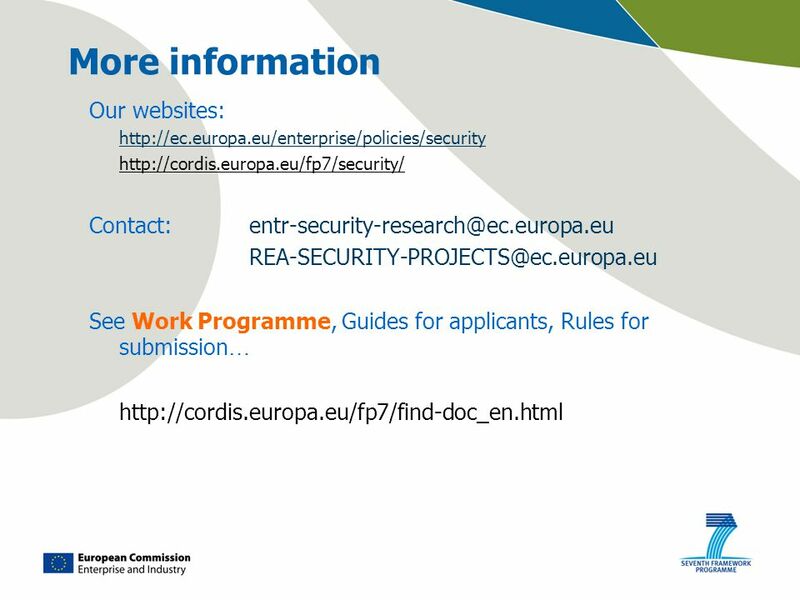 Download ppt "Work programme 2009 – Info Day European Commission – DG Enterprise & Industry E-M. Engdahl 4 th call FP7-SEC-2011-1 Seventh Framework Programme 2007-2013." 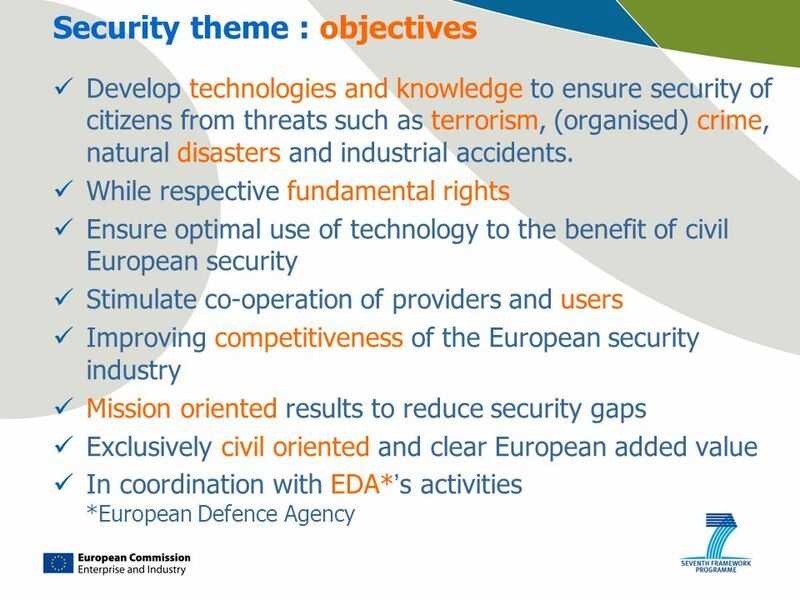 Network and Information Security Steering Group (NISSG) - CEN 1 28 June 2006 What Needs To Be Implemented In Order To Improve Pan-European Security Mechanisms. 1 R&D Financing Possibilities Philippe Quevauviller Date: 20/03/2013 Enterprise and Industry. 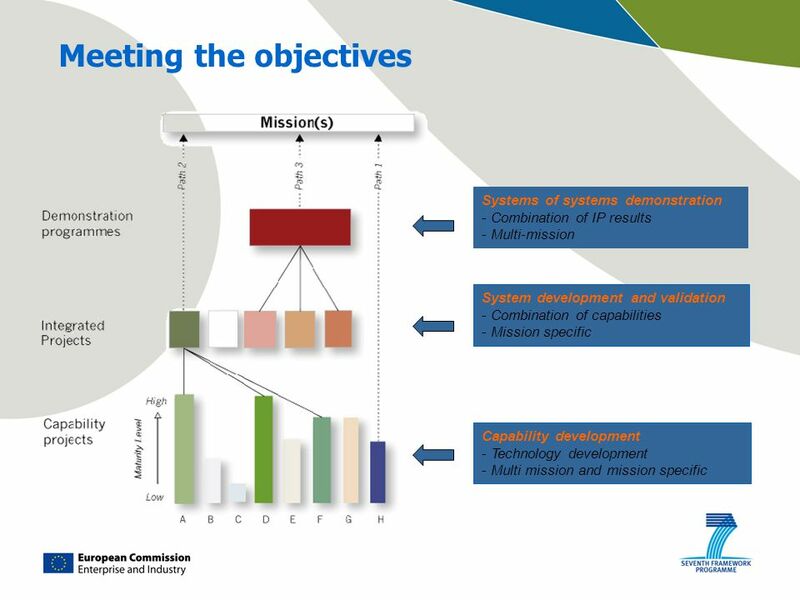 Work programme 2009 – Info Day European Commission – DG Enterprise & Industry E-M. Engdahl Information Day 16th September 2009 Brussels Seventh Framework. 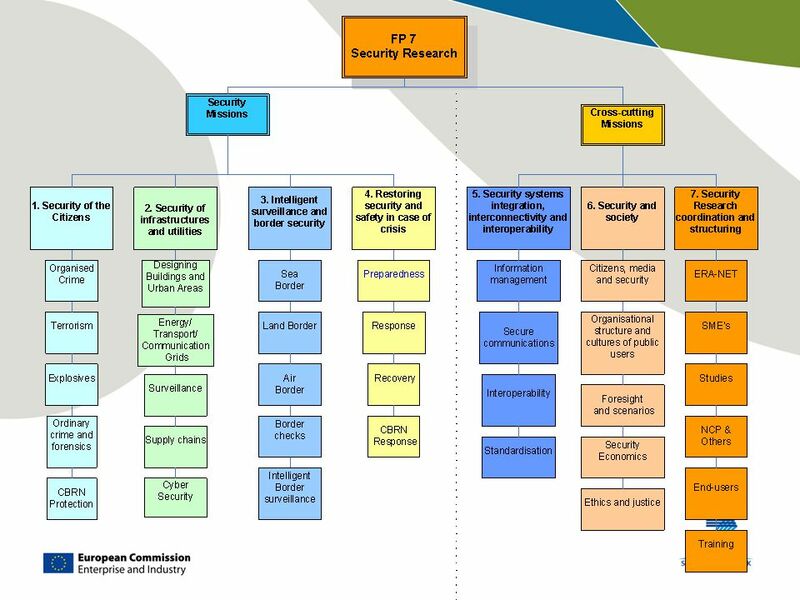 First Class Support for Excellence in Research 1 REA – Research Executive Agency Grzegorz AMBROZIEWICZ Patricio ORTIZ DE LA TORRE Unit S3 – Security Research. 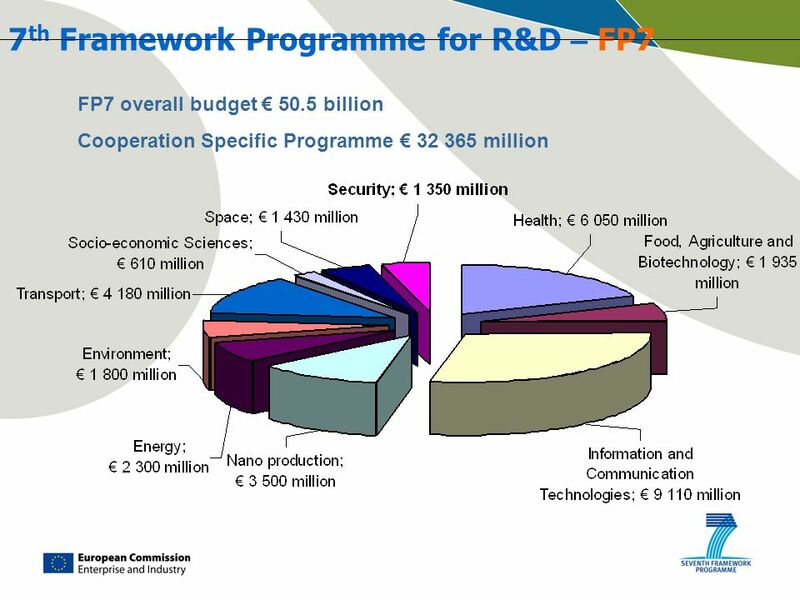 European Commission DG Research SMcL Brussels SME-NCP 23 October 2002 THE 6th FRAMEWORK PROGRAMME Economic & Technological Intelligence S. McLaughlin. 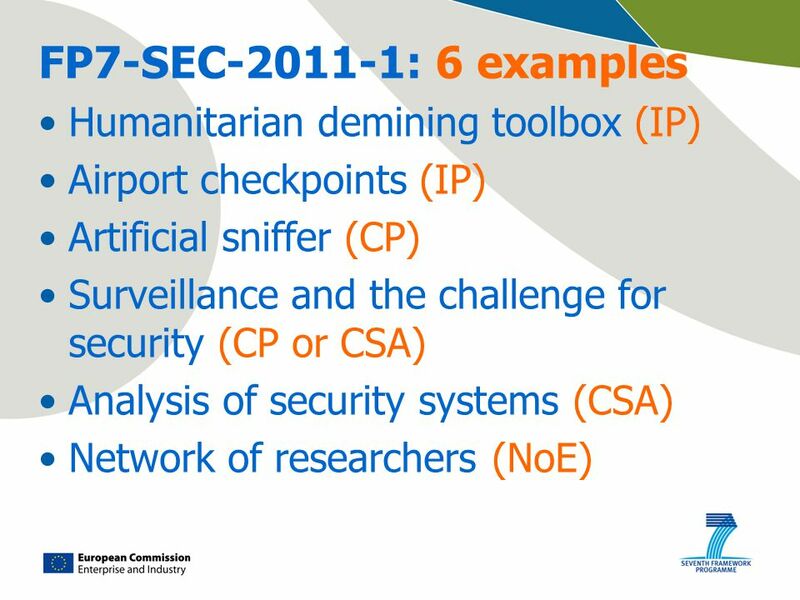 Information and Communication Technologies (ICT) in the Seventh Framework Programme Support actions. 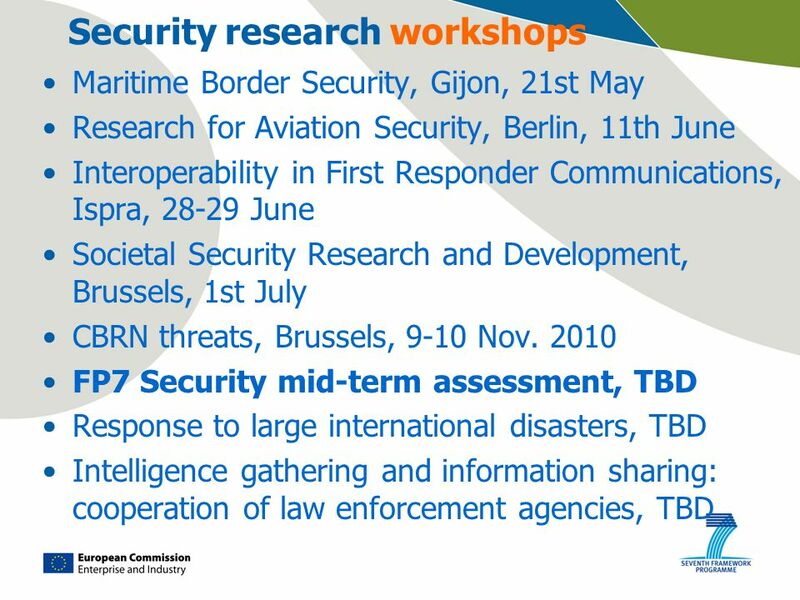 Work programme 2009 – Info Day European Commission – DG Enterprise & Industry E-M. Engdahl Security Work Programme 2009 Information Day 15 September 2008. 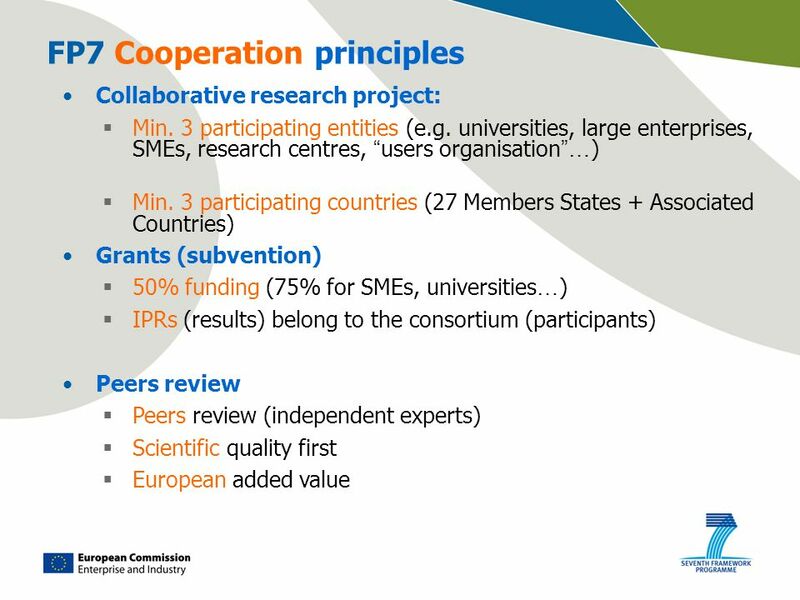 Bioenergy in the context of FP7 Mari Habicht Archimedes Foundation. 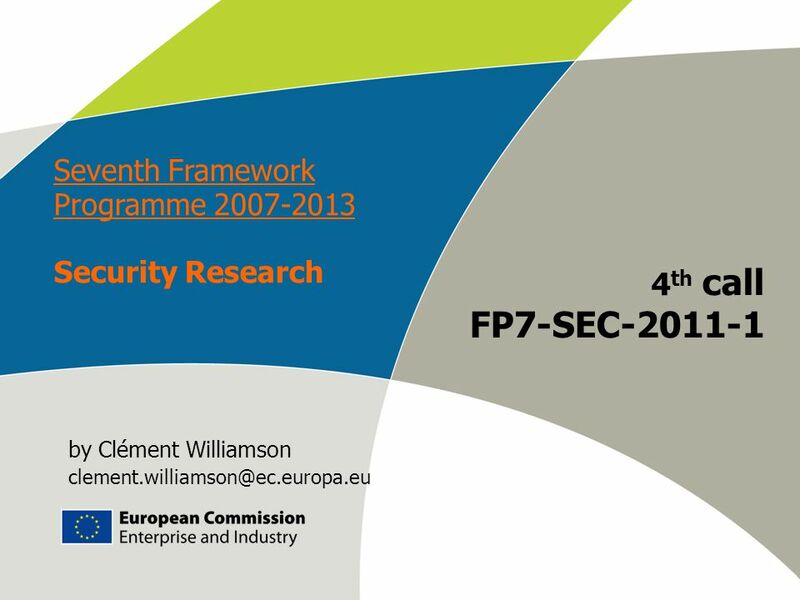 SECURITY RESEARCH SEVENTH FRAMEWORK PROGRAMME Mark Stroud Home Office Scientific Development Branch UK Security Programme Committee Member.